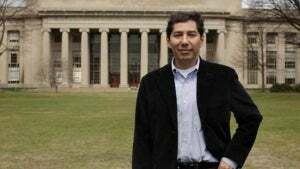 Abel Sanchez is one of two instructors teaching the Applied Blockchain course at MIT, one of many universities with courses on the distributed ledger tech. While about half the students can code, others have never coded a line in their life, but they're still learning. Blockchain is hot, both as an evolving distributed ledger technology already being piloted in myriad industries as well as a highly sought-after, emerging job skill. Salaries for blockchain developers can reach as high as $175,000 with the number of full-time job openings exceeding 12,000 last fall – a growth rate of 400% over the previous year. 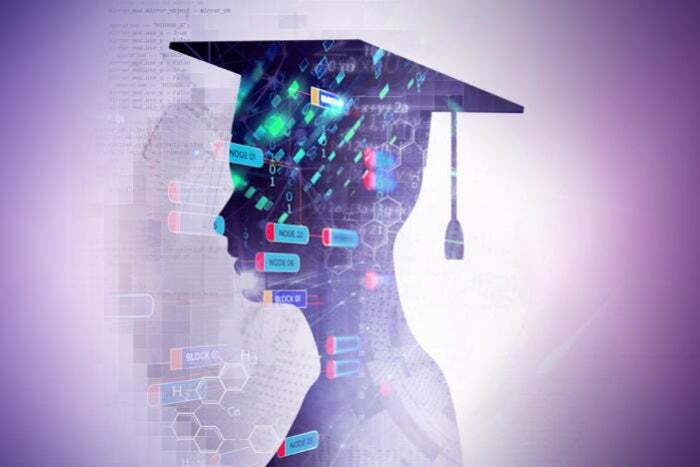 Universities are quickly ramping up courses on blockchain to address growing industry demand for developers. After offering an on-campus course about cryptocurrencies, UC-Berkeley rolled out a two-part, online course aimed at educating students on cryptocurrencies and business-scale blockchain networks. Before enrollment was closed, 7,400 had signed up. Stanford University began offering a course called Bitcoin Engineering. And the Massachusetts Institute of technology (MIT) offers courses specific to blockchain and others that are complementary to the distributed ledger technology, including one on digital transformation and another on cybersecurity. One of MIT's newest professional education offerings is its Applied Blockchain course, a one-week, in-person instruction that features hands-on experience with simulations and exercises involving real-world blockchain adherents. The course is geared toward C-suite lesaders and decision makers in a variety of industries, from finance and law to education and government. Abel Sanchez, executive director of MIT's Geospatial Data Center and an architect of data analytics platforms for SAP, Ford, Johnson & Johnson, Accenture, Shell, Exxon Mobil and Altria, is one of two MIT instructors teaching Applied Blockchian. Sanchez spoke with Computerworld about the distributed ledger technology's potential, what the coursework includes, and what kinds of people are signing for courses. Edited excerpts from that interview follow. 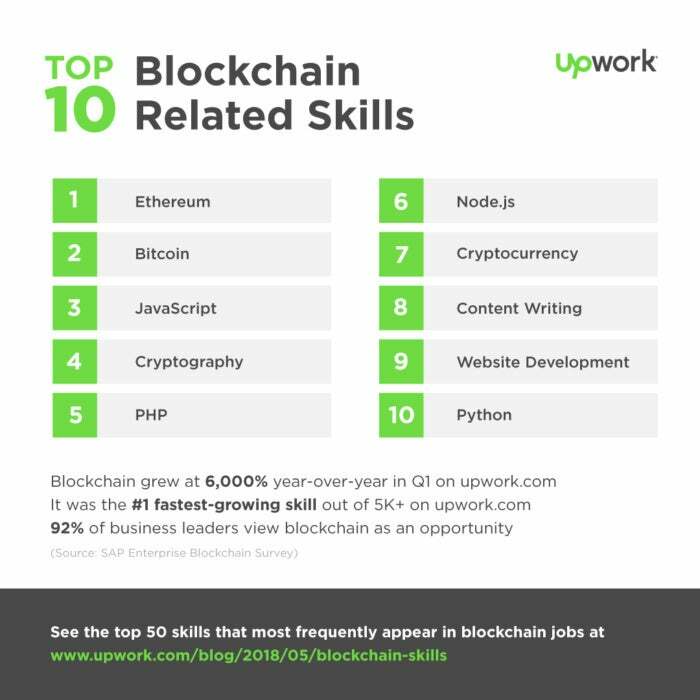 Do you need an existing skillset to even begin learning blockchain, such as being a coder, and is this the kind of skill you use for migratory work or a permanent position? "When it comes to any one technology, it depends. Think about Cobol; programmers actually make a lot of money because those legacy technologies are the backbone of the enterprise. "Every indication is that, once you commit to blockchain – it's a bit like committing to SAP – you're not moving off that anytime soon. "It's still very early in the game, so there is going to be that market for the hot shot blockchain technologist who will build systems and can hop from company to company and make a ton of money. But, if the promise comes through on the potential, there will be a lot of work in this space for many years, even a decade or more. This will be entrenched and deeply connected into the enterprise. It will be making money. It will be a core piece of the infrastructure. "Even if it becomes simply a component of [interoperability]..., it's a building block of interop." Is your course a straight developer course, a high-level overview of the technology or what? "We stand in the middle. At one point, you had the Sloan School [of Business] where the focus was management and it was pretty high level. You really didn't touch the bits there. At the other end of the spectrum, you have computer scientists who are deep down in the guts. "We use the term 'applied' because we recognize this as a business problem, but we also wanted to ground the technology and give people fundamentals. So they will write contracts, they will write a cryptocurrency, they will write code, but they won't be writing code all day. For example, we bring in legal teams, Cooley and others in Boston who have been leaders from the get-go on bitcoin and other technologies. "We bring in a lot of the companies building blockchain technologies; there's Circle [a blockchain payment company], Voatz [a mobile voting app], and there's Sia, which led the way with blockchain storage technology... and there's blockchain legal teams, plus several startups in FinTech and IOT security. So, there's a good enough community of practitioners with real-world experience. "The last group that came by we took to Circle's trading floor; it's fascinating to listen to these guys who are moving billions a month and speak like stock traders. So we go through different verticals, and different industries and allow [students] to touch the technology. We do an exercise where we ask them to steal some cryptocurrency. In general, we try to ground those concepts, but we are focusing on the decision maker; we are focusing on the executive. "So, for many of them, it is a stretch to sit in front of an editor and write some Solidity code, but our feedback is they feel much stronger in their grounding of what this is." You said the course work includes hacking a cryptocurrency. What value does that have? "The value of that is to understand the technology. If you can think about the security through an exercise, that makes you a better defender. We do a similar one when it comes to just cracking a usual password...for the same reason – to illustrate what the vulnerabilities are." And, what are the main vulnerabilities? "Blockchain has had vulnerabilities. However, over time it's proven more robust than any systems we've had up until now. The complementary technologies, however, mean blockchain doesn't exist in a vacuum. So it is [a] single point of failure in that it holds one key that can open everything. It's not like your bank where they will help you recover your account and help you if you're stuck. If you truly are in an open blockchain and you lose your key, it's compromised and you're never recovering that. When it comes to the security of those keys..., it's much easier to break into anyone's computer, than it is to break into blockchain, which is why care of keys is such an important consideration when it comes to blockchain technology." What does the average student look like? Are they programmers, or young kids being introduced to technology for the first time? "They're pretty senior. They are, for example, members of the military who will be leading large continent commands. They are [former] government advisors. They are from the insurance industry. They are from aerospace. They are from tech companies, one you'd recognize from Silicon Valley. They're across the board. "I'd say that's one of the values of being on the ground as opposed to taking one of these online courses. They're a pretty good bunch; they're pretty motivated and they network pretty well, and those conversations [we have in class] and the social aspects really contribute to it. It's not your computer science grad who's been writing code for 10 years. It's people who've been through a few generations of technology – rough estimate, 10 years' experience, on average. So they're looking at it from a productivity potential – a very different perspective. The other thing I'd say is the majority of them, with rare exceptions, are all from strong, large organizations, not startups or [crowd-funded companies]." Does that speak to blockchain's potential that many of your students are older, mature business leaders? "Yes. I get to talk to a lot of companies from around the world. This is at the foremost thought of most companies: how do we leverage this? Infrastructure companies, power companies, obviously FinTech, oil companies – across the board. This is one of the first things they want to know among a handful of technologies: they want to know about cloud, they want to know about IoT, they want to know about cybersecurity and they want to know about blockchain. "So all these companies are trying to ground their technical leaders in these concepts. And this is one of them. They need to understand it way beyond reading the blockchain book. They need to touch it." Are you finding a lot of interest? Is this course hot right now? "When it comes to digital transformation, those four topics [cloud, IoT, cyber security, blockchain] are off the chart. "Being an academic, one of the things I do is give talks. I get to see the reaction from audiences depending on the topic I choose. I've been blown away by blockchain. In India for example, in Bangalore the previous year, I spoke about educational transformation and disruption. I'd say 90% of the auditorium's capacity was full. "The following year, I spoke about blockchain and it was packed full – in the aisles, out the door, people logging in to watch it on video. "If you want to bring out the crowds, just say blockchain." How many of your students are coders, or at least seem to be comfortable writing some code? "I'd say 50% of them are. I'd say 20% have never seen a line of code before. As technology matures, the level of abstraction rises. Even though that 20% needs more hand-holding, they can walk through it. Code is transparent enough that you can read it. The concept of a private and a public key is not so foreign that you can't go and make your own Ethereum account and you can, for example, create a transaction and move through these concepts. There are enough metaphors in place that you can hook into. "This is one of the things we think about hard: how do you create good enough metaphors that can speak well enough to everyone. It doesn't matter if you're not a computer science PhD. If you have the right metaphor, it helps you tremendously in how you think about the technology. "We do enough of these and go through enough iterations and it gets polished. We're often successful in being able to reach that 20%." How many students are enrolled in each course? "It varies depending on the year. We like to keep it at 40. It hits 60 sometimes. Sixty tends to be too large. We like 40 to 50 with two or three teaching assistants and a faculty member. With that we can cover this group pretty well." When a student completes the course work, what are they prepared to do? They do get a certification. They can write a contract. They can create a cryptocurrency. They can engage in transactions. They can do the basics. They can discuss consensus algorithms with some fluency. In addition, they can talk through different implementations in different industries, and they're able to tell you the legal ramifications of geographies. They're able to issue a cryptocurrency. Creating one takes no time, but being able to do an ICO in the proper way...requires quite a bit of understanding. "They'll be able to tell you about creating blockchain teams and recruiting people." When you say creating teams, what do you mean? Teams to develop blockchain? "Yes. One of the biggest challenges is being able to find people. ...There are a number of vehicles. Some are bottom up, going to meet-ups and other vehicles. Some are reaching into institutions to do hackathons. We talk about all the strategies to find and recruit technical teams."